Great app deals are constantly popping up on the App Store, and here are 20 iPhone and iPad apps that are now free. 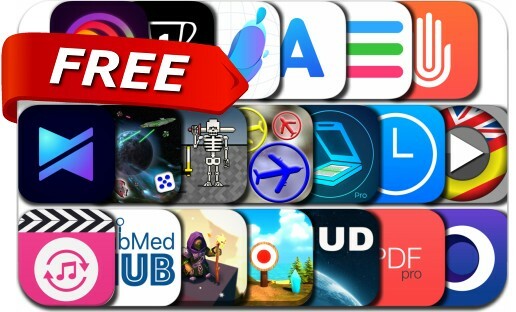 This apps gone free alert includes Alook Browser, Tadaa SLR, Video Meme Maker, Shoppylist (Grocery List), PDF Pro 2, 8bitWar: Necropolis, VPN, MP3 Converter, Traffic Time, Bow Island, Modern Ludo, Future Ludo, iScan Pro OCR Scanner For Docs and many others. Now you can shoot SLR quality photos wherever you are! 1. Shoot 2. Focus 3. Tadaa! Tadaa SLR brings you THE BEST depth-of-field and bokeh on the App Store. Join the millions of photographers who create their best work using "Tadaa" and "Tadaa SLR" today! Your Photos are Awesome!